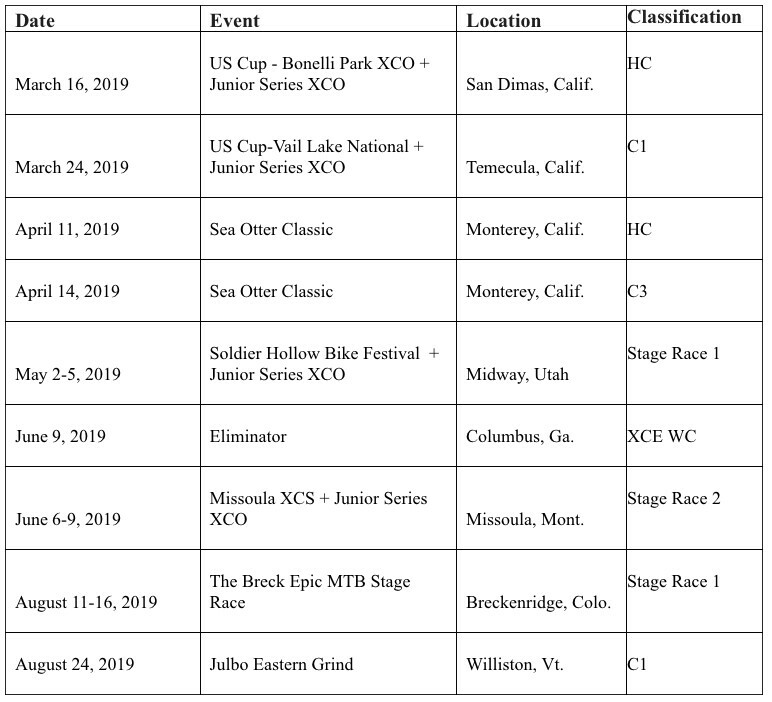 COLORADO SPRINGS, COLO. – USA Cycling announced the national mountain bike calendar for the 2019 season today. The Pro Gravity Tour (GRT) and Pro Cross Country Tour (XCT) will feature 12 events across 10 states, it was announced today by USA Cycling. Spanning March to June, the GRT schedule this year will include 8 days of gravity competitions, while the XCT will feature 20 days of racing. Kawasaki Motors Corp., U.S.A. is pleased to announce its complete 2019 Team Green™ Racer Rewards (contingency) program.